Founded in 2015 by Hussain M Elius and Shifat Adnan, Pathao is among the fastest growing tech startups in Asia, dedicated to the development of tangible solutions and to minimize the region’s biggest infrastructural problems. After establishing Pathao as the biggest and most popular e-commerce delivery and ride-hailing service provider in South Asia, they have expanded into the food delivery industry to provide all sorts of solutions in one platform. Using a dynamic fleet of motorbikes, cars, and bicycles, their solutions are harnessing the power of technology to change the face of Asia. 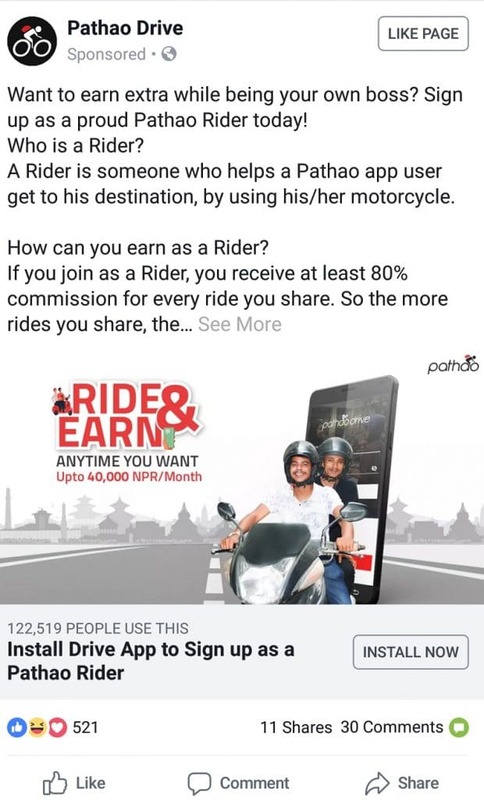 To put it simply, Pathao is basically Uber for Asia. And now it's in Nepal!